SEO: vBulletin forums are search engine friendly. You can easily customize your URLs and on page factors to give your forum the best chance to get ranked on Google. The fact that you don’t have to look for additional plugins to get the job done is a big plus. Security: I can’t tell you how many times I have installed a free forum software only to realize that it can’t hold up against security attacks that you get every once in a while, especially when your website becomes popular. Don’t forget that your forum can expose you to liabilities if you don’t address these security issues. With vBulletin you are always covered, and you get updates on a consistent basis as well. Applications: vBulletin may not be as user friendly as WordPress. It may not have as many plugins as WordPress does. At the same time, it does come with a set of built in applications that let you and your users get more out of forums. Your visitors can start photo albums, check out your events, and you can create groups as well. Member Management: managing members is one of the most difficult things to do, especially if you have a couple of thousands of them on your forum. How you moderate them, ban them, and reward them is up to you. But it’s nice to have the option to do those things without spending5 any additional money. 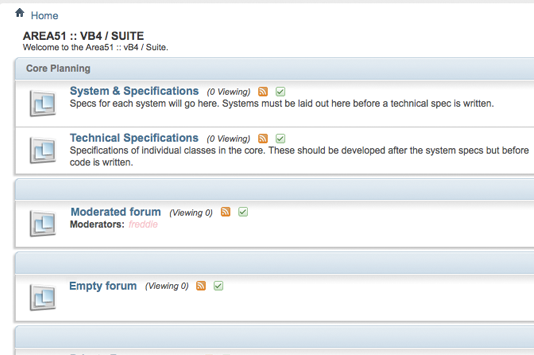 Customization: vBulletin forums are as easy to customize as WordPress websites. So if you know your CSS, you can easily change things around and give your forum a similar look to your blog. Skinning vBulletin can’t be any easier. All in all, vBulletin is a great software package to add a forum to your blog. You can always change the CSS to keep the look and feel consistent across your properties. I do recommend using a separate domain for your forum just to be on the safe side. If you have registered both .com and .net versions of your domain, you can dedicate one to your blog and the other to your forum. Managing a forum next to your WordPress blog can add to your daily work, but if your forum gets popular, you are going to get a lot of free traffic and hits, that could help your blog as well. A premium forum script such as vBulletin certainly makes things easy. What’s your favorite forum software? Nice post…just wondering, wouldn’t including your forum as part of your main blog domain be beneficial as far as increasing links back to your site as well as raising your Alexa ranking? I understand why you might want to have a separate domain for the forum, but why not just build on your current site? A separate domain seems more necessary if you are trying to start a paid program. There are obviously different approaches to this. It's true that you may get the benefits if you host your forum on the same domain but there are large portals such as Sherdog that host their forum on the .net version of their website. I personally don't put too much value in Alexa but I do understand your point. For branding purposes, I do recommend separating forum and blog domains. But for SEO purposes, you can combine them under one domain (as a subdomain perhaps). It really depends though. I am planning to start vbulletin forum for my blog. But i have a doubt, whether to install vbulletin on subdomain or sub directory?